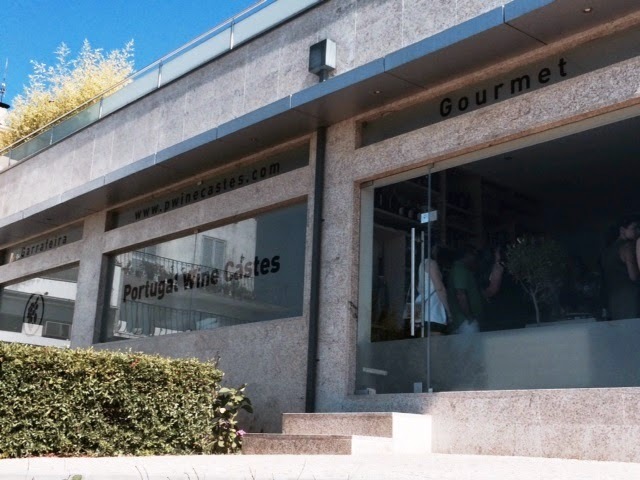 Portugal Wine Castes is a gourmet wine cellar and grocery store opened since July 12 of 2014 and sells selected products from the national and international markets. It is located in the urban area of Viseu, Portugal, in a pleasant space that combines the contemporary and the traditional, commitment on the quality of the offer. It offers a wide range of wines and gourmet products, providing its customers a wide selection of red, white and green wines, champagnes and spirits, from the great majority of different regions of Portugal but also from other countries; in the gourmet area there are several teas and infusions, biscuits, chocolates, jams and sweets, pasta and risottos, olive oils, vinegars, sauces, preserves and charcuterie. It also offers the opportunity to participate in daily tastings (wines and gourmet) or programmed (tastings, presentation of products and workshops) in order to enjoy some snacks.